Sonic has had a variety of cartoons but not only in the west but it has also gotten a few japanese animated shows, well one anime Sonic X and two OAVs which were edited and sold as a movie around the world. The Western cartoons diverged from the source material and incorporated plenty of original stuff but how did the Japanese handle the blue blur? 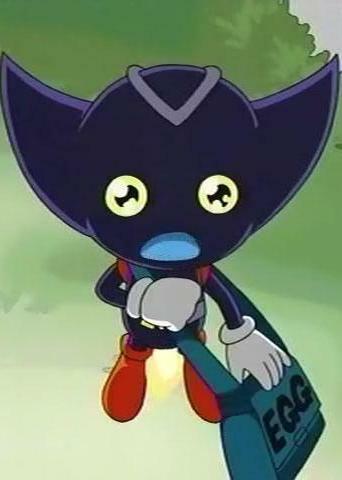 When you start watching Sonic X and get done with the first episode, you realize how amazing it was and that it’s the Sonic cartoon you always wanted to watch. 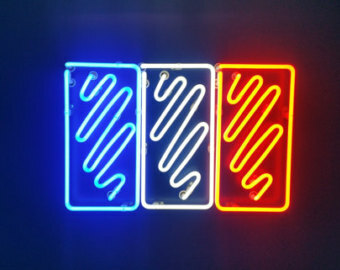 You tune in to the next episode only to encounter a radical change. The characters go to Earth after the awesome confrontation with Dr. Eggman. The concept of the show after this pretty much feels like it was made by an American company..You have a kid main character who is meant to relate with the padawans and you have a very episodic premise for the anime. The show is very slapstick, not unlike adventures of sonic the hedgehog, in fact there are a lot of similarities between them and it wouldn’t surprise me if they used Adventures of Sonic the Hedgehog as an inspiration of sorts. They have two robots that are just like Grounder and Scratch which aren’t too bad but also not as likable as the other two. Chris and his family are just annoying and uninteresting characters with the exception of maybe Chris’s grandfather. I also just hate the setting on earth for the show and only makes you wish they had never left their original planet. Its a very kid oriented show thanks to Chris and it makes you loathe the character since all the interesting parts are when he has nothing to do with the plot or he isn’t around but yet he is there for most of the show. It just goes to show a Sonic cartoon can be very interesting if you cut down the human side. 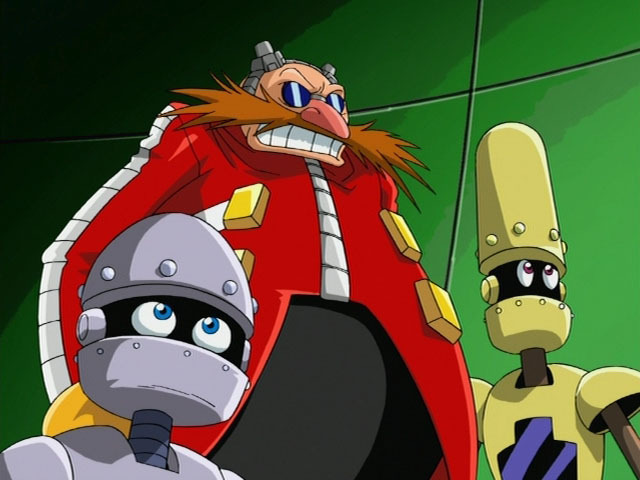 After the first 13 episodes you get a small season finale with them beating Dr. Robotnik…err Dr. Eggman which isn\t bad. After this they start adapting different sonic videogames from that era like Sonic Adventure, Sonic Adventuer 2 and Sonic Advanced 2. You’d think the show would get better since it is no longer episodic but you are wrong since it feels like you are watching video game cut scenes and as much as you can enjoy FMV it isn’t the same if there is no gameplay in between them so it’s just boring. But not only that, they are indeed more boring since they tweak details from the games to incorporate Chris into them which slightly changes the storyline to make it fit into this universe and it’s not usually good. So yeah it isn’t as great as you think and the pacing continues to be really bad in this part of the show. 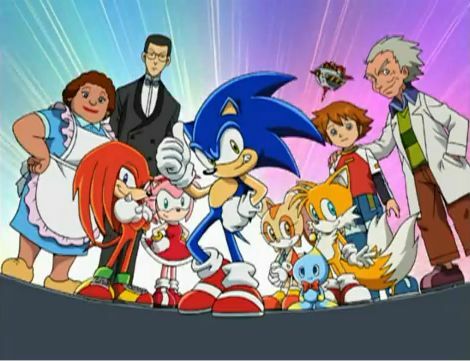 There was a lot of controversy with the voice actors after Sega of America replaced the videogames voice actors with the Sonic X ones but as much as I liked the original actors however I don’t really have many complains with the voices 4Kids gave them and I think they fit the roles rather nicely for the show. Now my absolutely favorite character from the show is an original character named Bokkun who doesnt even have a japanese name but who is absolutely awesome. I love his voice and how he acts he is so adorable and it is a shame he hasn’t been incorporated into other Sonic universes. I watched the dubbed version because as much as I hate things being edited, I really like the voices and I didn’t feel like reading subtitles for a show like Sonic, so having 2 minutes cut from an episode wasn’t that bad for me. I don’t mind changing a bullet sound to a laser sound at all, it bothers me more knowing they changed the music. Now Series 2 as it is called in Japan or season 3 everywhere else is a bit different, after the first series you get a finale for the characters with each having closure but the new series is a nice way to get back into the action. Since they had adapted pretty much all the games by that point they go a different route which normally can create some great story arcs in anime when they have no restrictions, this is why I always loved filler arcs. 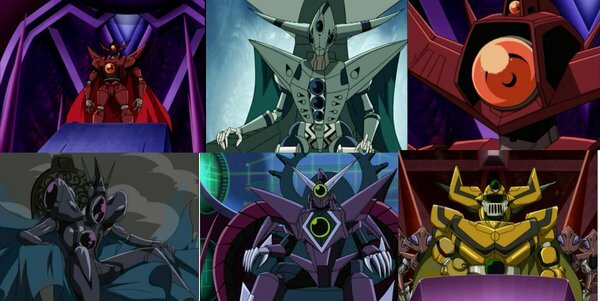 They have some new villains named Metarax and the show takes place in the Sonic Universe they came from instead of Earth but…..you still have Chris and sadly he is still as annoying as he was int he first series, the darker plot has its pros and cons since it is indeed more interesting in some aspects but also falls back to the boring Sonic X we know. This is the show that introduced one of the most annoying characters in the Sonic Universe ever created which is Cream and Cheese, I can be pretty tolerant to some things but overall I really couldn’t stand her at all or even understand the point of her existence. 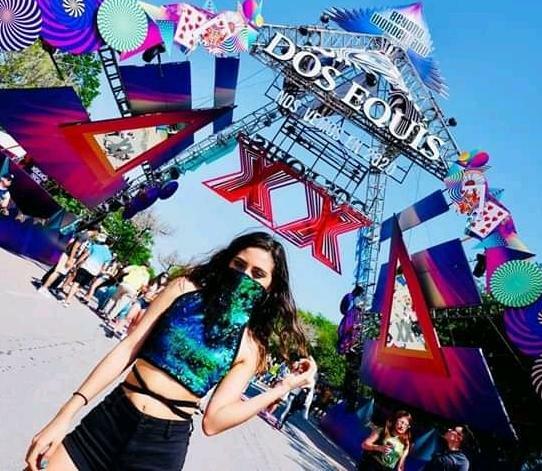 Some of the deaths are censored but it doesn’t hurt the storylines a lot. It really makes you wonder what the hell Sonic sees in Chris to want to be his friend and put up with his whims. Counting the show doesn’t take place on the Sonic side of the universe and it’s never mentioned it could easily be Planet Mobius from the previous cartoons counting how similar it is to AOSTH and also a more serious side like SATAM it isn’t that far off. The show has a nice ending and overall as much as I ragged on the show it has enough memorable moments and enough moments with Sonic characters acting cool that it makes it worth putting up with Chris’ crap. 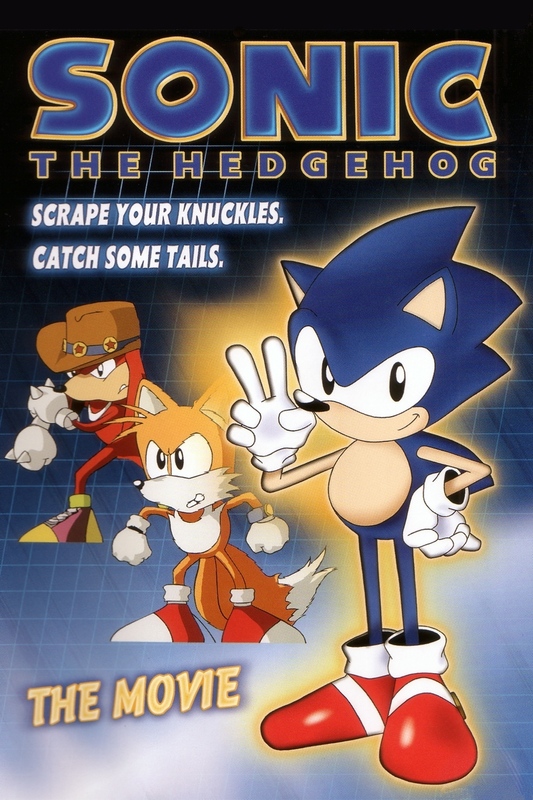 Now let’s talk about the original Sonic Anime which the US version is called a hackjob of the two OVAs, I am not really that familiar but from what I know nothing is cut that drastically so I wouldn’t go that far. The voices are quite terrible but the biggest problem the movie has is the plot is just stupid and nonsensical. That has nothing to do with the dub or with splicing them together as a movie, I mean one does lead to another so it doesn’t make sense that by placing them together they are messing it up. It is a nice piece of animated Sonic but it really isn’t that much closer to the games than Adventures of Sonic the Hedgehog. 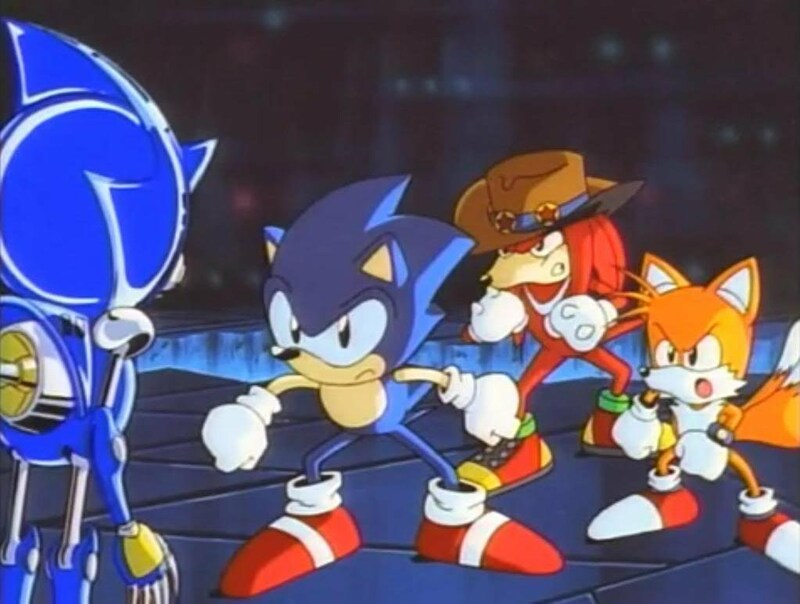 Knuckles acts fairly off character than what you’d expect, like Knuckles calling Sonic his best friend and wearing a cowboy hat. 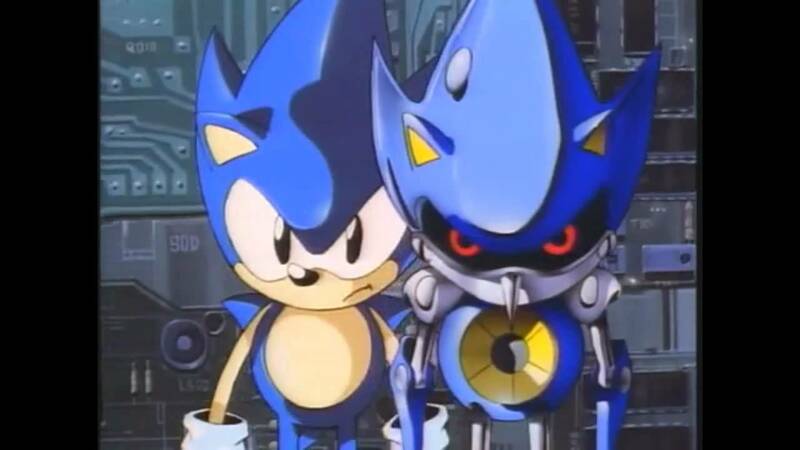 Metal Sonic isn’t much better either but seeing him race Sonic is indeed cool. Its just all the new characters for this movie are absolutely terrible. Nonetheless the movie will always be remembered for having Sonic flip of Dr. Eggman. You have Princess Sara who lives in this universe and is constantly harrased by Dr. Eggman like your normal cliche you can expect form anime. She has a tail too and for the most part isn’t too bad of a character and the most memorable one from the other ones they created. It’s worth watching only to see some nicely animated version of Sonic but there isn’t much more to it than this. This also works out as a prequel of sorts to the Sonic X anime, not really meant to but why the heck not? Its an adventure that takes place before they go to Earth and for the most part all the characters act in character with the exception of Knuckles.